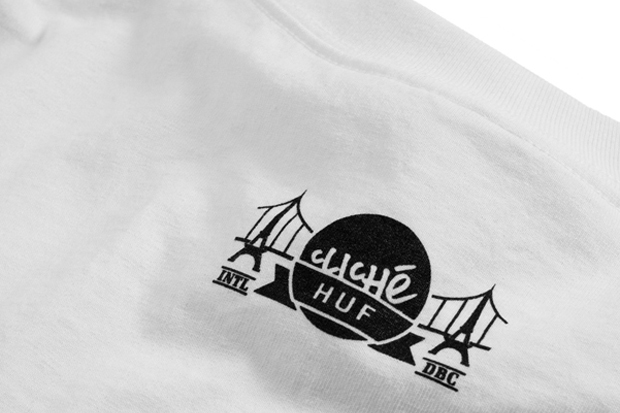 HUF have once again gotten together with French skateboard brand Cliché for a colaborative collection. 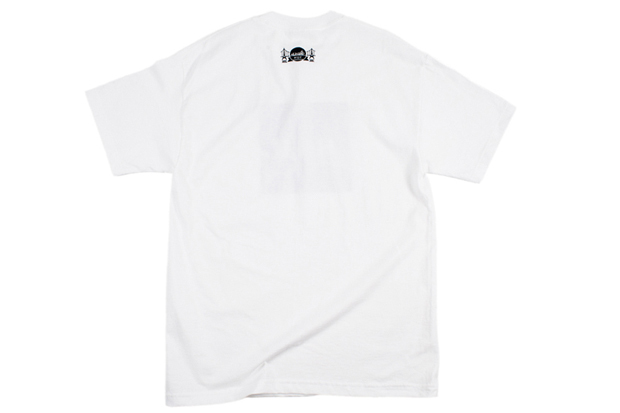 The new capsule features a T-shirt, 5-panel volley, Hufnagel Pro shoe, and skate deck, and will be available in the UK from this week. 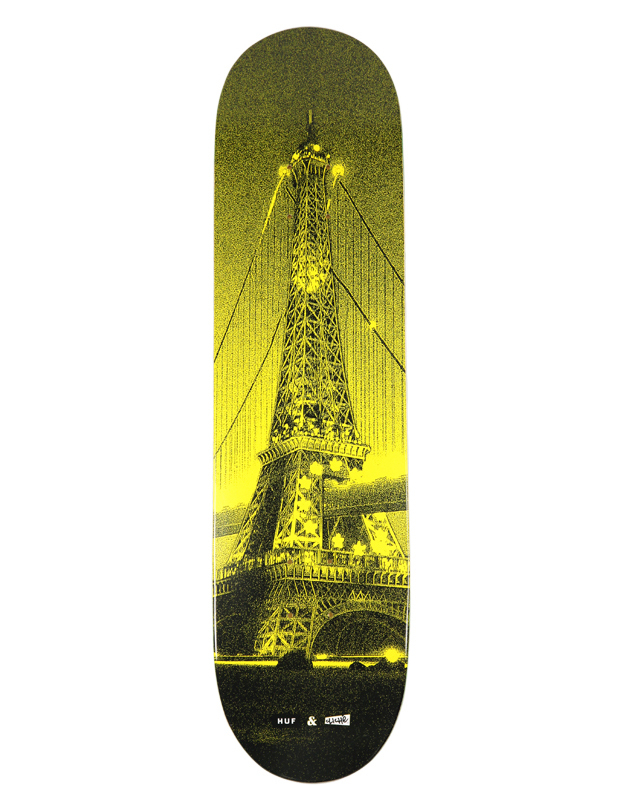 The artwork fuses both Cliché and HUF’s homeland iconography, with a huge bridge passing through the centre of the Eiffel Tower. 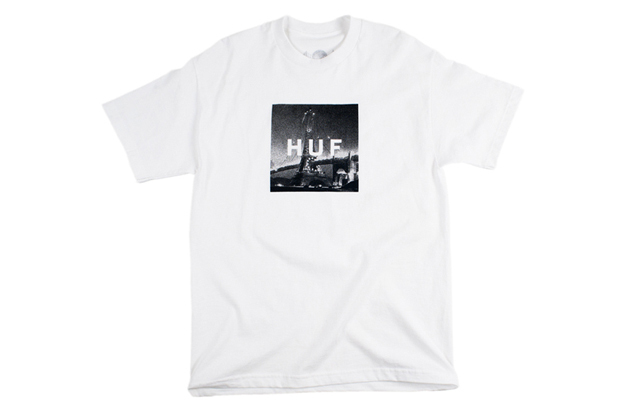 It appears in typical HUF fashion, as part of a logo on black, white, and yellow tees, but also printed on the site of the 5-panel caps, on the Huf Pro insoles, and of course, on the skate deck. 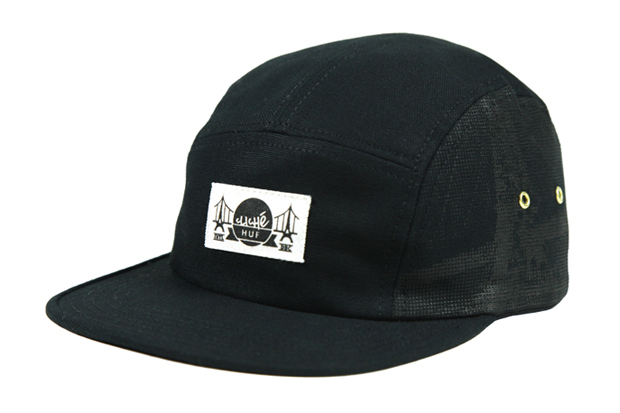 Each piece in the collection bears HUF/Cliché branding, which you’ll see on the front of the 5-panel, and the tongues of the Huf Pro shoes. 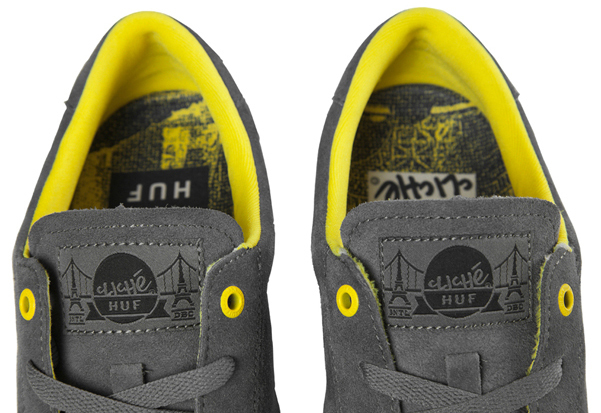 The Hufnagel Pros might even be my favourite part of the capsule, coming in grey suede, with a white midsole and yellow hits on the liner and top eyelets, tying them in nicely to the rest of the range. 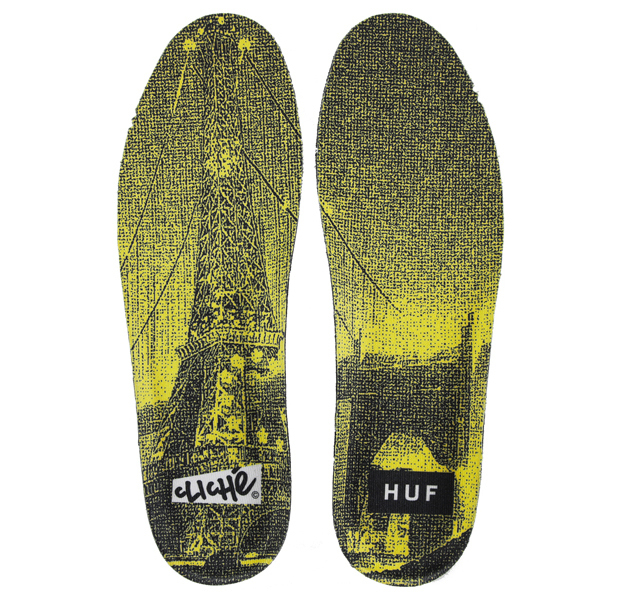 The tongue branding and insole artwork finish things off and signify that this piece is something special. 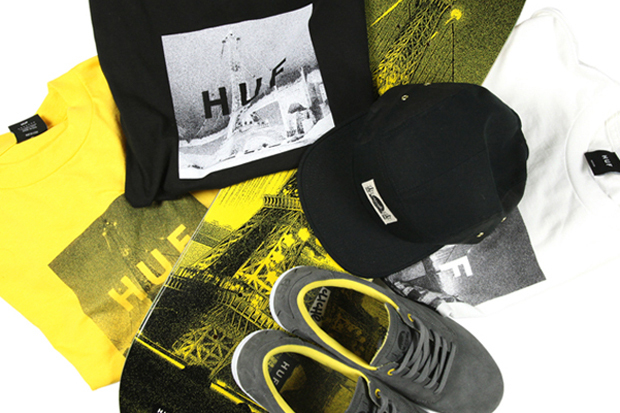 The clothing & footwear will be available from HUF stockists in the UK this week, such as Chimp, Note, and Scene, while the skate deck is available through Cliché stockists, including Native. 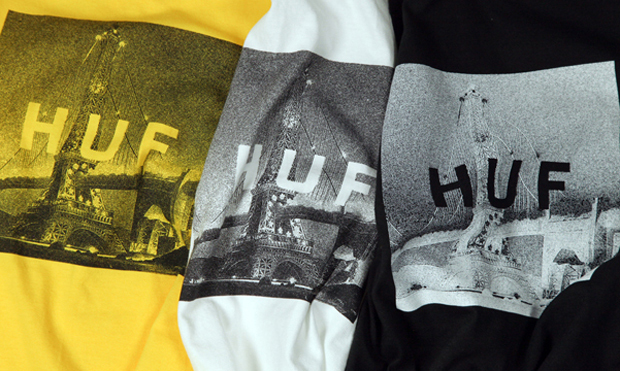 HUF just gets better and better for me..